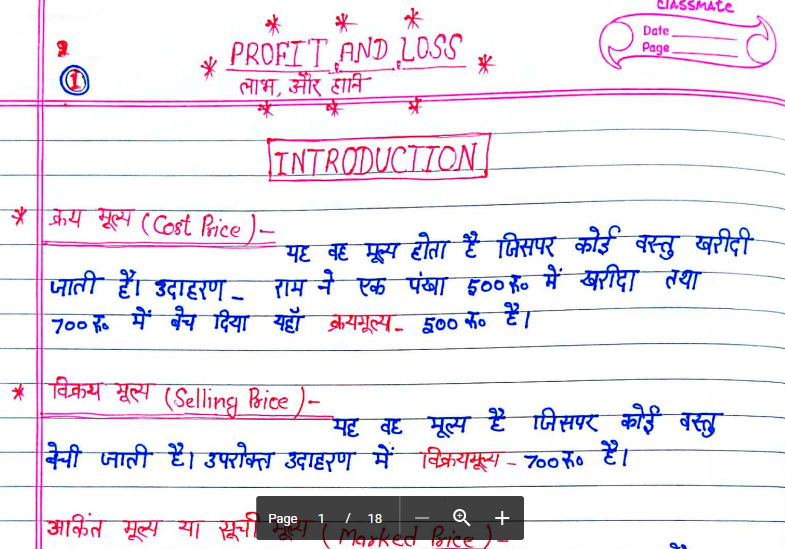 Today we are sharing hand written notes of profit and loss for SSC Exams. This Pdf is in Hindi language. You- may download it from the links provided below.